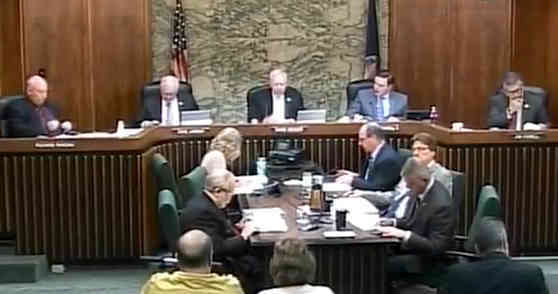 As a Sedgwick County citizen and taxpayer, I have been distressed to see news reports about the scandals, FBI and other legal investigations, that involve this county commission. The details of this appalling topic shall remain for another day. Today, I am here to praise four county employees who deserve public commendation. On May 12, 1962, five star General-of-the-army, Douglas MacArthur, an army officer during World War I, World War II, and the Korean War, gave his famous speech to the army cadets at the West Point military academy. MacArthur, then in the twilight of his life, used the hallowed phrase, “duty, honor, country,” the motto of West Point, in speaking of the obligations that exist for army leaders; past, present, and future. General Michael Scholes epitomizes “duty, honor, country.” I repeatedly saw this demonstrated during the years that I had the privilege of working with him while serving on this commission, as well as more recently as he continues to demonstrate his personal integrity. General Scholes and Judge Yost are distinguished men of achievement, who possess the diligence, competence, and most importantly, integrity, that I stand to recognize this morning. Last week this commission voted 3-2 in another direction. I rise today to thank both commissioners, Jim Howell and Richard Ranzau for voting against the motion to place Judge Yost on leave. I also want to praise commissioners Howell and Ranzau for their efforts to provide transparency in this county, as well as protecting taxpayers while providing efficient public services. Howell and Ranzau are pillars of integrity during these county commission scandals. This needs recognition, and I proudly provide as much as this citizen can do. As a former Sedgwick County commissioner, I would conclude by recommending that this county commission now proceed to move to receive and file this commendation. For video of Peterjohn delivering these remarks at the Sedgwick County Commission meeting on November 14, 2018, click here.